It’s not the usual reaction you get to a commode – even a new one. But it’s typical of our daughter’s attitude to the equipment that surrounds our life. Whether it is a commode or a sit ski, her brother’s equipment is just part of our daughter’s reality. She will lock herself in Deane’s stander to have a snack in front of the TV. As soon as Deane is out of his wheelchair, she scoots in. She has tried walking in his foot braces – with limited success. In the hospital, she put on his knee immobilizers and the abduction wedge. To her, all these things are just part of life. Her dolls and stuffed animals often have handicaps that involve operations and adapted equipment. Our daughter’s pretend play – like most children – reflects her life as a way to help her to understand it. But what if your pretend world couldn’t reflect your life? Hannah, a 13-year-old girl with Down Syndrome, couldn’t create a reflection of her reality because she couldn’t find a doll that looked like her. Armed with this motivation, Hannah’s mother, Connie Feda, has set about to create Dolls for Downs that show children with Downs in an honest and favourable light. At the moment, she has 10 girls and six boys to choose from. They are 18” tall (the same size as an American Girl) with changeable clothes. The difference is that these dolls have flatter faces – typical of children with Downs. Obviously Hannah was not the only one that wondered why no dolls looked like her. The Dolls for Downs Facebook page is a truly international experience with posts from Spain, Australia and Chile. The enthusiasm is contagious. The first prototypes were sent to the factory earlier this month. Feda is now in a big push for pre-orders which will help finance the production. Launch date is May1. Why not celebrate World Down Syndrome Day today by ordering a doll for someone you know? 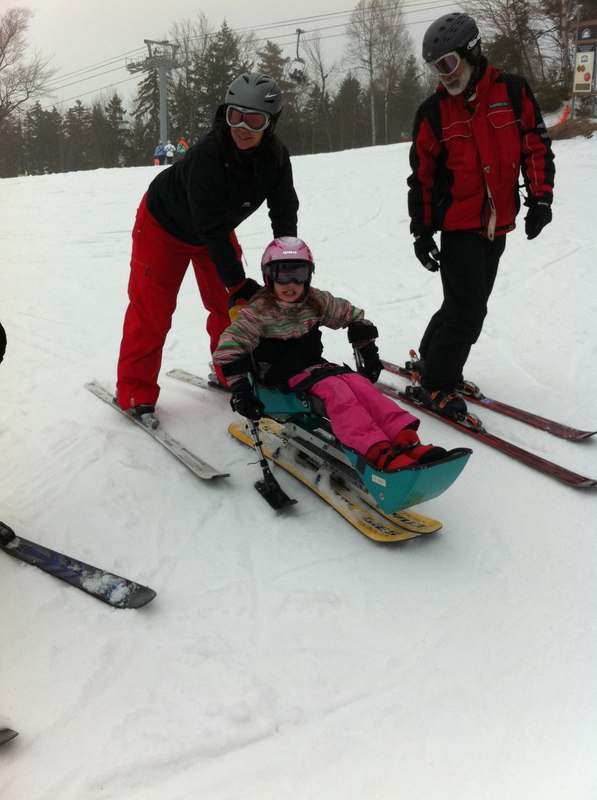 This pic REALLY makes me miss Maine this year…..how many days till March Break 2014?? ?